One common difference between a scripting language and a programming language is that, while a programming language is typically compiled first before being allowed to run, scripting languages are interpreted from source code or bytecode one command at a time. Generally, compiled languages run faster than scripting languages because they are first converted native machine code . Also, compilers read and analyze the code only once, and report the errors collectively that the code might have, but the interpreter will read and analyze the code statements each time it meets them and halts at that very instance if there is some error. Although scripting languages may have less access and are slower, they can be very powerful tools. One factor attributing to a scripting languages success is the ease of updating. 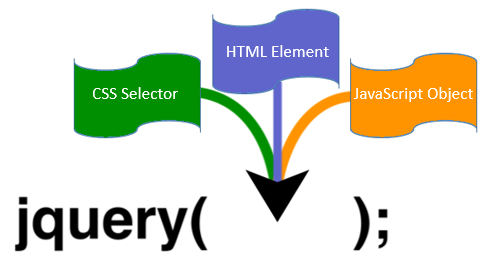 jQuery was originally created in January 2006 at BarCamp NYC by John Resig , influenced by Dean Edwards' earlier cssQuery library . In 2015, jQuery was used on 63% of the top 1 million websites, and 17% of all Internet websites. As of June 2018, jQuery is used on 73% of the top 1 million websites, and by 22.4% of all websites.